It’s hard to believe that three years have already passed since yours truly was given the opportunity to review Greece’s symphonic death metal arbiters SepticFlesh and their album Titan. Since then, I’ve dedicated a fair share of words to the band, as their brand of orchestra mixed in with crushingly heavy death metal scratches just the right itch, but I always wind up musing about the same subject, which is how the band’s chosen genres combine in order to form the band as it is today. It’s interesting to me because, pulled apart, the orchestral music genre and metal genre are two gigantic beasts in their own right, so the thought of combining them makes sense. It’s been done for years, of course, but the gentlemen in SepticFlesh have developed a unique mastery of it. Even in the hands of masters it can occasionally get a little unwieldy — because although the two combine well, in the world of SepticFlesh they are also treading a very thin line, and depending on what side of that line they land on is the version of SepticFlesh you’ll be getting at that point in time. Since the release of the group’s album The Great Mass, it has felt like the band have found a good balance in a 60/40 split for their sound — iterating heavily on what they had built with Communion, favoring the metal side — and yet an album like Titan (and I am admittedly one of the rubes who enjoyed it) can be recognized as polarizing — it did the 60/40 split in the opposite direction, feeling more like an orchestral disc with the death metal segment added afterwards. Which brings us to 2017’s newly released album Codex Omega and what the band have in store for us this time around. It is an album that continues the band’s trend of having fantastic album art designed by Seth Siro Anton (the alias for the group’s bassist/vocalist, who also handled the artwork for the upcoming Totenritual by Belphegor, in case you’ve had a sense of déjà vu when viewing the certain stylistic qualities shared between them) and is also the first to feature drummer extraordinaire Krimh Lechner behind the kit, though he joined the group around the time of Titan’s release. 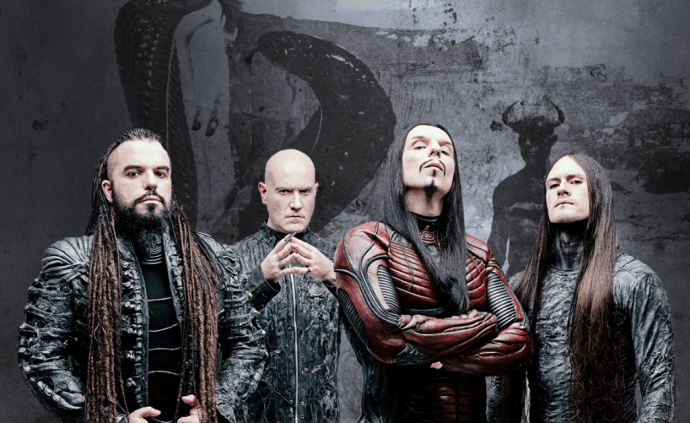 In the three years since their last album, it seems that SepticFlesh have learned a lot in terms of what has worked for them, and so the version of the band you get on Codex Omega is newly focused and one that makes a hell of a first impression. The running theme with the last few SepticFlesh albums have been that they all make excellent first impressions, though, and so Codex Omega is no different in that regard, beginning with three highly pyrotechnic songs in “Dante’s Inferno”, “3rd Testament”, and “Portrait Of A Headless Man”. Codex Omega does a pretty good job divvying out its dynamic songs amongst the whole track list so as to avoid feeling front-loaded, but those opening three songs, if nothing else, seem almost surgically designed to wipe away any notion of the band letting their orchestral tendencies take over their music. Instead they manage to do some of the best combining of their two main ingredients to date, weaving them together so that it doesn’t seem like one could stand separate from the other. It’s also an interesting fact that two of the three songs were released in the lead-up to the album’s release, the third being “Enemy Of Truth”, and moreover “Portrait Of A Headless Man” had a music video made for it. “Dante’s Inferno” has the toughest job as album opener, but SepticFlesh rose to the challenge by making its five and a half minutes absolutely move. It starts out with some very familiar horror-movie stings but the band themselves quickly crank things up a few notches and the orchestra behind them just as quickly follows them into the maelstrom. Like its following brethren, it demonstrates that SepticFlesh are going to be using the death metal side of the equation to the most of their ability, and yes, it makes them sound just as massive as ever. The percussion section especially, both kit and backing drums, come through especially thick on Codex Omega — each hit heavy enough to leave impacts behind it, so when they drop into death metal blastbeat sections like the one that makes its appearance halfway through “Dante’s Inferno”, the combination of that with the strings in tow sounds near apocalyptic. “Portrait Of A Headless Man” does mess with Codex Omega’s pacing a bit, mostly because the song itself is in serious contention for the earworm category and is one of those songs that serves as a “repeat” roadblock for a while. Yes, there are other songs present on Codex Omega, but what’s one more go-round with that bouncing rhythm riff that makes up most of “Portrait Of A Headless Man”? You can’t help but headbang to it. “Portrait Of A Headless Man” is also one of the songs where the orchestral bits take a backseat for a bit. They return in full force for the back half of the song, but it and the closing bits of the song “3rd Testament” prior to it are the high-energy, death-metal-unleashed segments in the opening half of the album. The combo of “Martyr” and “Enemy Of Truth” that follow are a little more staid in comparison. “Martyr” is a little more downbeat and groove-focused, and the symphonic element provides a lot of the melody in that song — though the brass gets to have its time doing the movie trailer boisterous low note blasts each time “Martyr’s” chugging rhythm riff swings up and down. Codex Omega’s back half contains some interesting experimentation as well, including a pair of sub-five-minute songs in the religious tie-ins of the Cthulu-obsessed “Our Church Below The Sea” and the more straightforward assault of “The Gospels Of Fear” (though a humongous chunk of Codex’s material is to be found in the mythology of Satan and such). “Our Church Below The Sea” is another quick-mover of a song and also features some clean vocal work on the chorus from guitarist Sotiris — who is used throughout the disc up to this point and gets to be the focus again (previously handling the chorus in “Dark Art”) for the cleans on “Church” as well. The lightning-fast volley that opens the song is enough to lock the listener in from the get-go, but SepticFlesh use the four minutes they have to make “Our Church Below The Sea” like an auditory descent into madness, as the clean vocals are obviously a little jarring at first, and used to full effect alongside the sweeping guitars and massive drums behind them. “The Gospels Of Fear” takes that massive drum approach and turns the whole opening of the song into a war march — including a thudding double-bass drum section that will likely see the song joining the unconscious headbang club as soon as it works its way under your skin. “The Gospels Of Fear” is another one where the death metal element of SepticFlesh really gets a chance to shine through, built around a transition of grooving riff to relentless blast with very quiet choir work helping to amplify it all — because if you start with the war drums, then the song has to remain huge throughout. Though we have focused briefly on the four-minute blasters of “Church” and “Gospels”, the song that stands between them — “Faceless Queen” — is a whole lot of fun in its own right. The song provides the adrenaline rush up-front, but the actual sing-along of the “Faceless Queen” refrain is the part that will likely stick with you. “Faceless Queen” even travels a ton of ground in its five minutes, but every time it returns to the faceless queen worship sing-along, you can’t help but join in as well — and “Faceless Queen” is absolutely built around it. It is one of the more dense songs on Codex Omega and likely a highlight of the back half, and one of the few that can compete in the earworm category with “Portrait Of A Headless Man”. 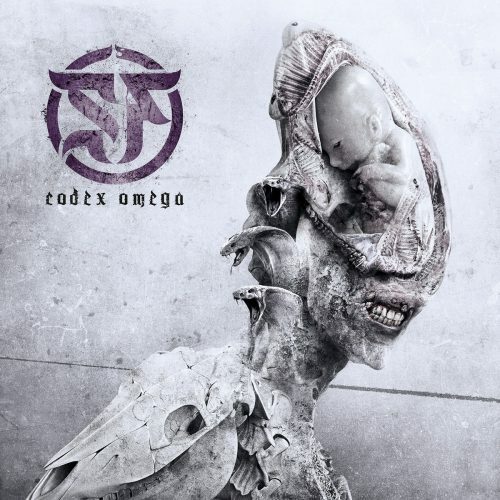 The exciting thing about Codex Omega is that it seems like the SepticFlesh crew have rediscovered the energy and speed that makes their music work so well. The symphonic pyrotechnics remain as grand as ever and the group put them to good use throughout Codex, but hearing the band kicking out their leviathan-esque massive branch of death metal and then weaving the orchestra throughout shows that they have this alchemy down to a science. They turn Codex Omega into a weapon and use it to lay the world to waste. It remains an exciting listen from front to back. They also make it so that there is so much to discover throughout a trip with the album, that your favorite song can and will change constantly as you discover new things that seem to wrap their hands around your brain and won’t let go. For instance, “Our Church Below The Sea” made itself known around my sixth trip of the disc, as I finally locked in on the “what the hell was that?” moments during the choirs of the song as it descends into its own branch of madness. Codex Omega certainly had a bit of a wait attached to it, but the time in the forge was absolutely worth it, turning it into one of the better symphonic weapons of 2017. The last track is god-awful though… terrible choice for a closer (and for inclusion in general). Well I’ve been without internet for a month and now I’m finally reconnected with the world at large… lo and behold new Septicflesh is out! With a review from DGR to boot. I’d heard some of the advance tracks, which had left me intrigued. So far, I’ve only listened through the whole album a couple of times: it feels on the one hand like it follows in the footsteps of the approach on The Great Mass and Titan and yet also has it’s own twist on that sound. Heavier than Titan. Some parts seem reminiscent of Communion. I was also quite stunned by the orchestral-only track Martyr of Truth. I’d love to see Christos landing a movie soundtrack at some point.